Katey Clees has a Kindle and she knows how to use it. 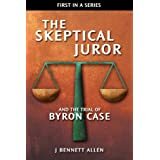 After having completed The Skeptical Juror and The Trial of Byron Case, and after having provided unsolicited, effusive praise, she has apparently now downloaded The Skeptical Juror and The Trial of Cory Maye. She must have liked the second book even more, since she used more exclamation marks when she wrote me. 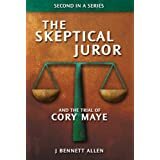 "I just finished The Trial of Cory Maye. Exceptional!!!!!!! What a read!!!!!!! Good work!!!!" That looks like an 18-exclamation review, besting her previous review by 6 exclamation marks. Please forgive my delay in getting my next substantial post uploaded. 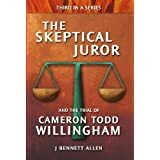 I am helping with an effort to help free another person I believe has been wrongfully convicted, and that is demanding my time at the moment.